China's two biggest banks said they do not plan to finance a controversial Australian coal mine, in the latest blow to Indian conglomerate Adani Enterprises' long delayed project. Industrial and Commercial Bank of China (ICBC) and China Construction Bank said in separate statements they were not working on the project, after media recently reported that Chinese banks may get involved. Adani is seeking A$2 billion ($1.5 billion) in financing by March 2018 for the A$4 billion first stage of its proposed Carmichael coal mine in the state of Queensland, a project that has been shrunk from a A$16.5 billion plan to make it more viable. Australian and overseas banks have balked at granting loans for the project, which environmentalists oppose due to climate change and the potential for damage to the Great Barrier Reef. "ICBC has not been, and does not intend to be, engaged in arranging financing for this project," ICBC, China's biggest listed lender by assets, said in a statement on its Australian website. "ICBC attaches great importance to its social responsibilities and keenly promotes 'green financing' ... This statement is made without any view on or prejudice towards the Carmichael mine project." The mine's location 400 kms (250 miles) from a Pacific Ocean shipping terminal means financing infrastructure costs has been at the forefront of debate over the project's economic viability. "China Construction Bank is not involved with, nor considering involvement with, the Adani Carmichael Mine project," an external spokesperson for China Construction Bank in Australia said in an emailed statement on Monday. CCB in China was not immediately available for comment. Reuters has previously reported that Adani was in talks with China Machinery Engineering Corp (CMEC) for a loan, which could have involved China Construction Bank or China Export Import Bank. China Export Import Bank was not immediately available for comment. Carmichael has been delayed by court challenges from environmentalists and indigenous groups concerned about climate change and the impact on native land and water supply, but those challenges have been rejected. 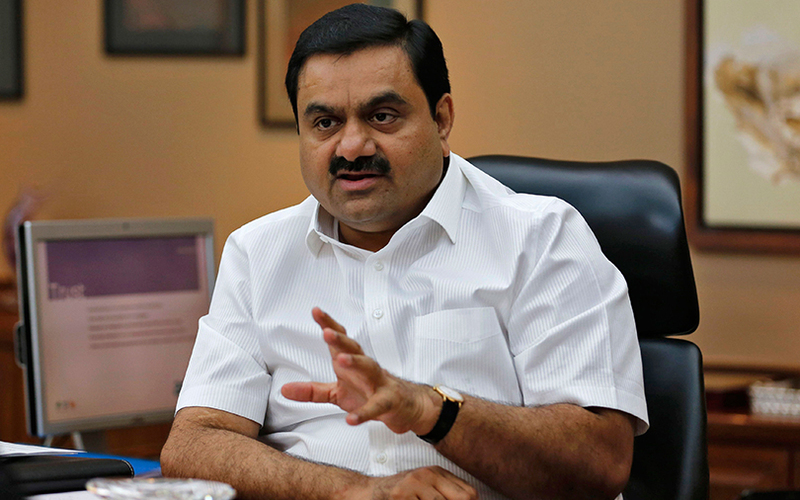 Adani hopes to start shipping coal from Carmichael by March 2020 in the first stage of the project, which it bought amid a coal boom in 2010.